Dragon Ball Z Dokkan Battle is a mobile gaming app which is free-to-play and is based on the Dragon Ball franchise. With a single touch, you can perform devastating techniques by releasing your “Ki”. Ki is nothing but the energy of your character in the game. It allows you to install on any platform like Android or iOS device and play for free. You will definitely love this Japanese Dokkan Battle app as you can move all your favorite characters in the palm of your hand. It is a popular game that Hit no. 1 in 16 countries and regions on the App Store. Scroll down and check more about Dragon Ball Z Dokkan Battle Jp. Dragon Ball Z Dokkan Battle game released in the year 2015 and in November 2016, it reached 100 million downloads. Since then, for a current total of around 50 countries worldwide, Dokkan Battle has been released in further 9 additional countries. As of July 2017, the title has reached no. 1 in 16 countries and regions sales rankings because of beloved players around the world. First, on 30th January 2015, the Dragon Ball Dokkan Battle was released in Japan for Android. Later, on 19th February 2015, it was released for iOS. On 16th July 2015, it was eventually released for both Android and iOS worldwide. This Dragon Ball Z Dokkan Battle Japanese includes many favorite characters of Dragon Ball series, ranging from Goku to Piccolo and even upto Emperor Pilaf. Dependent on the skills they had, the game will be given very strong characters. When the concept of ‘God Leads’ was introduced, the Japanese version of Dokkan Battle game got even better in July 2016 and the Global version of the game got better in November 2016. This feature let characters give the Ki bonuses & health, attack, and defense boosts. Super Vegito, Super Saiyan 4 Goku, Gloden Frieza, and Majin Vegeta. Check out more features of DBZ Dokkan Battle below along with the installation steps. Hidden Potential Activation: With Potential Orbs, it allows you to power up your characters. Reverse: With this system, you can revert the characters in the games to their pre-Dokkan Awakened states. Explore the World of Dragon Ball: With unique board-game-style, in a whole new way, you can explore your favorite areas. To steel yourself for the battles ahead and to strengthen your team, you can utilize various items and power-ups. From a wide variety of Dragon Ball characters, you can create your own team. Certain characters can be grouped together to activate powerful Link Skills. Also, this app gives you the features of building virtually any team you want. You can take your trusty fighters and rise to the top at the battlefield. To engage in supersonic combat, just tap the Ki Spheres on the screen. The fighting will be very extreme that your screen may not handle it. Make your favorite Dragon Ball characters stronger than ever before by waking the true potential of them. 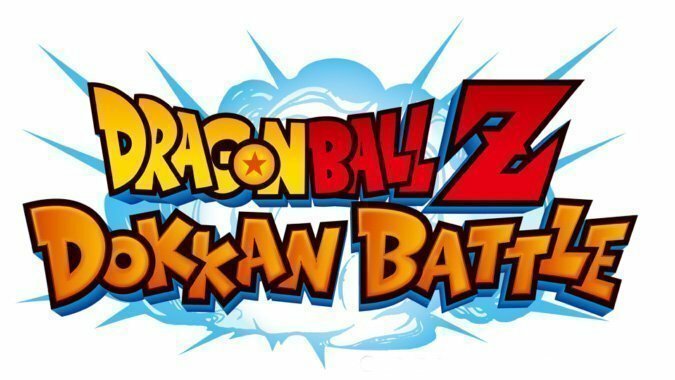 How to install Dragon Ball Dokkan Battle APK? Click on the link given on this page to download Dragon Ball Z Dokkan Battle. You can find the Install button of Dokkan Battle APK. If it shows the installation blocked message, then go to Settings >> Lock & Security >> turn on ‘Unknown Sources’. Now start the installation and wait till it completes. After completion, you can find the DBZ Dokkan Battle icon on your Home Screen. How to download Dokkan Battle Jap iOS? You can download Dokkan Battle for iPhone and iPad by clicking on the link given below. Go to Download page and Click on the Download Dokkan Battle Jap iOS button. There you can find the Install button. Click on it and start the installation of Dokkan Battle for iOS. On completion of installation, you can find the icon of Dokkan Battle on your Main Menu. Click on it to open and get ready for the earth-shattering action. As the Dokkan Battle PC version is not available, you need to download and install an Android Emulator on your device (Windows / Mac). Bluestacks in the best android emulator which allows you to make Dokkan Battle PC download by creating the Android environment on your device. After installing the Bluestacks, open it and search for Dragon Ball Z Dokkan Battle PC. You can find the Google Play Store link below the search bar. Click on it and search for Dragon Ball Dokkan Battle. Open the appropriate game link that appears in the list. Click on Install and wait till it completes the installation. Now, you can see the DBZ Dokkan Battle game icon in ‘All Apps’. So, whenever you want to play the game, Open Bluestacks >> All Apps >> Dragon Ball Dokkan Battle and start enjoying the action world. There are still other methods to download Dokkan Battle for PC. So, check this post regarding Dragon Ball Z Dokkan Battle on PC. Dragon Ball Z Dokkan Battle Download is possible here for all platforms like Android, iOS, and Windows. The Dokkan Battle latest version 4.0.2 file size is 51.6 MB. It requires Android of version 4.0.3 and above or iOS of version 9 and above. As per the present report, there are nearly 200 million downloads of Dokkan Battle. Here you can make Dragon Ball Z Dokkan Battle Japanese version download and Global version download. You can complete the download and installation process successfully without any errors like DBZ Dokkan Battle Download failed. Check the below steps to know how to download Jp Dokkan Battle.